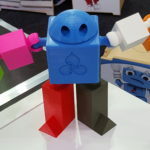 Most people know robots as machines that accurately perform previously defined processes. Their advantage over other industrial equipment is that they can be used in a variety of situations due to their considerable flexibility. To further increase this level of flexibility, Augsburg-based automation specialist KUKA relies on an intensive exchange with the global robotics community. 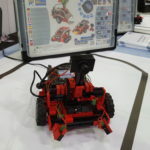 Competitions such as RoboCup translate tasks from the factory of the future into scientific challenges for the researchers. In this way, competition among the teams gives rise to innovative solutions that are needed to further enhance production towards Industry 4.0. 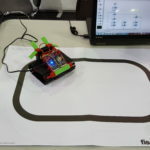 At Leipziger Messe, these approaches can be experienced live at RoboCup from 30 June to 3 July. Even now, increasingly intelligent robots play an important part in modern factories. De-mographic change and steadily growing demand for higher productivity and quality, along with lower costs, have the effect of raising the requirements for future robot-based auto-mation, particularly in the installation area. As an ageing workforce is supported by robotic colleagues, it becomes very important to ensure the safe co-existence of workers and robots, and to develop a correspondingly sensitive robot assistant. The considerable demands on robots are especially evident in the area of mobility. That is because stationary robots in particular quickly reach their limit. Dr. Bischoff: “Industrial production in the future will require new, modular, versatile and above all mobile production concepts.” For this reason, KUKA has equipped its LBR iiwa with an autonomous navigating platform and created the KMR iiwa (KMR = KUKA Mobile Robotics), a new intelligent and mobile helper that enables direct, autonomous and flexible collaboration between humans and robots. With its high-performance battery, autonomous navigation, ability to position exactly to the millimeter, and its modular design, the KMR iiwa is an in-dustrial production assistant for many logistics and production processes. Since each innovation always starts with a first small step, KUKA will bring the youBot to RoboCup on the Leipziger Messe exhibition grounds. 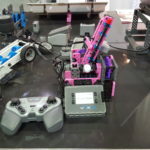 The robot is an omni-directional mobile platform that features a five-axis robot arm with a two-finger grip. The device can be used to realize control systems and application ideas. 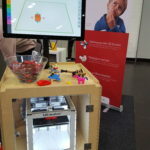 Its biggest advantage: The youBot can be run with many open source software packages and other software (C++ API, ROS, Orocos, LabView and many more). “The KUKA youBot offers researchers, teachers and students, as well as research and development departments in industry a hardware basis for trying new things and for scaling the insights to other applications. In this way, the KUKA youBot can be used to research the important issues of the factory of the future on the way to Industry 4.0 on a smaller scale,” explains Dr. Bischoff. Speaking of Industry 4.0: Visitors can experience the current state of research for the fac-tory of the future at the RoboCup competitions in the [email protected] league, in the ini-tiation of which KUKA played a key role. 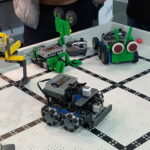 Differently from the soccer-playing and service robotics-oriented competitions, the participants in this competition focus on researching and developing the use of robots in industrial settings. In this context, robots are supposed to perform complex tasks in collaboration with humans, e.g. in production, automation or general logistics processes. 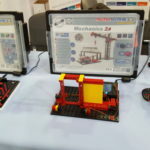 Real-life industrial challenges are supposed to form the basis for robust mobile manipulation, which can be scaled and therefore can be used on a much larger scale. 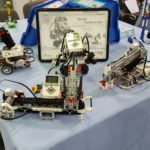 RoboCup is the leading and most diverse competition for intelligent robots, and one of the world’s most important technology events in research and training. 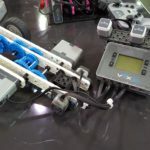 The World Cup of robots combines a variety of interdisciplinary problems from robotics, artificial intelligence, informatics, as well as electrical and mechanical engineering, among others. As the central discipline, robots play soccer in different leagues. 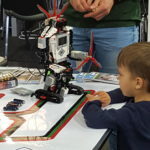 Additional visionary application disciplines such as intelligent robots as assistants for rescue missions, in households and in industrial production have been added during the last few years. The vision of the RoboCup Federation: That autonomous humanoid robots beat the reigning soccer world champion in 2050. The 20th RoboCup will be held in Leipzig from 30 June to 4 July 2016. More than 500 teams from 40 countries with 3,500 participants are expected to compete at this event. 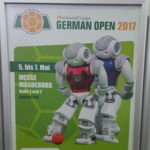 The 2016 world championships is supported by global RoboCup sponsors (SoftBank Robotics, Festo, Flower Robotics, MathWorks) as well as Siemens (Gold Sponsor), Amazon Robotics, Festo, KUKA (Silver Sponsors), Schenker, TUXEDO Computers (Hardware Partner), HARTING, Arbeitgeberverband Gesamtmetall / think ING, S&P Sahlmann (Bronze Sponsors), DHL (Logistics Partner) and arvato, Donaubauer, Flughafen Leipzig/Halle, Metropolregion Mitteldeutschland und Micro-Epsilon (Friends).